Vision Finance have arranged several bridging loans on land over recent months, so we thought it would be useful to share our experiences. We work with property developers up and down the country, and while full property development finance remains our core strength, many of our clients have requirements for short term finance, and this includes bridging loans on land. Essentially land falls in to two categories: land with planning consent, and land without planning consent. We work with lenders who have appetite for both, appetite only for land with planning consent, and lenders that do not lend on land at all! Typically we are able to secure finance at about 60% LTV – however assessing the value of land (particularly land without planning consent) can be difficult for the appointed valuer. Valuers will normally use the “residual valuation” method when valuing a site with planning consent. This involves assessing the consented scheme, obtaining evidence for the GDV of the proposed scheme, quantifying the build costs, and then deducing what a reasonable developer might be willing to pay for the site. 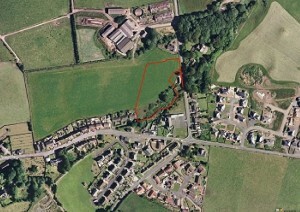 Therefore if a site does not already have planning consent, this becomes more than a little tricky. Developers who might own several plots of land are often keen users of short term finance, as they can use one site which is not currently being developed to raise funds to be used elsewhere.